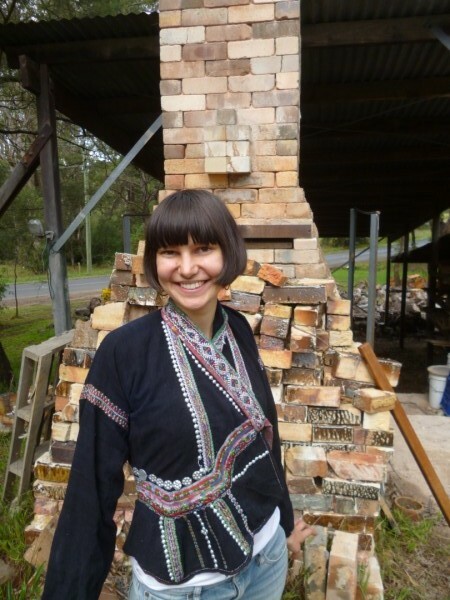 Alex, a potter at Sturt was wearing this beautiful North Vietnamese jacket. I couldn’t pass up the opportunity to borrow it and work out how it is constructed. Here are some interesting construction details. 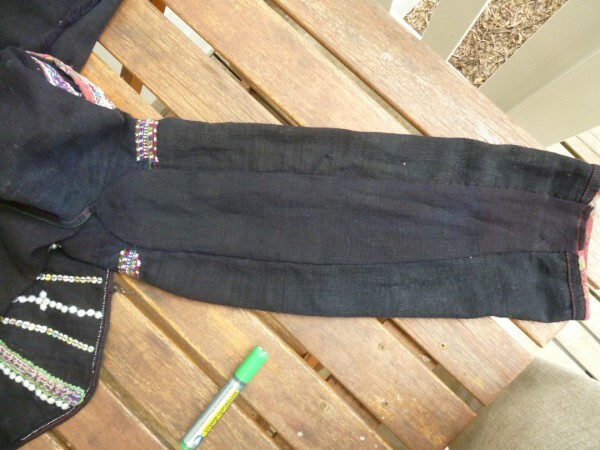 The garment is in fact a simple shape. When turned inside out, it is very evident that it is made of a basic shape with triangles added on. 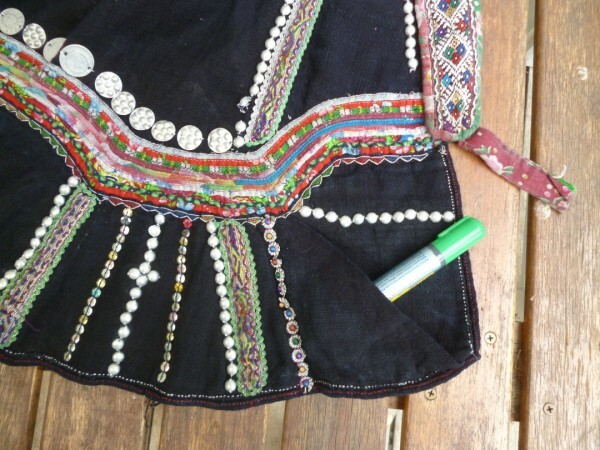 From the right side, this is entirely hidden by the use of braids and decoration. 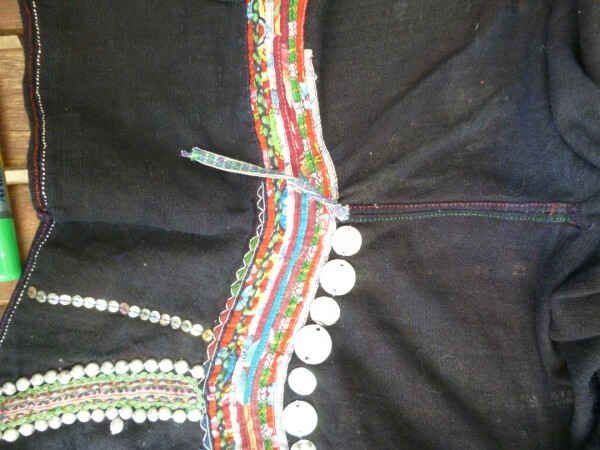 Sometimes braids and other forms of decoration sit on top of seams while at other times have no alignment and are purely for decoration. Braids are made of different strips of fabrics sewn together or embroidered strips. Beads, sequins and coins are also used. The hem has a rectangle stitched over the basic shape underneath. Shape is obtained by the use of pleats. Decoration on top entirely hides the folds. A simple pocket is obtained by folding back a corner of the rectangle. 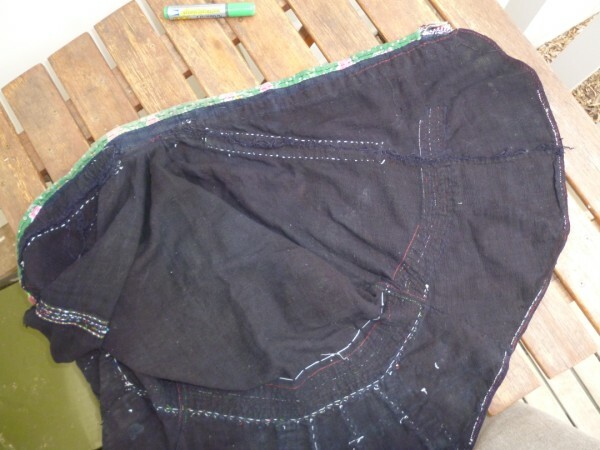 Seams are run and fell and sewn with a coloured running stitch: a very neat way to add decoration. Ties are used to secure the opening of the garment. They are just strips of fabric, in this case different fabrics. The sleeve is a rectangle with a shaped gusset. 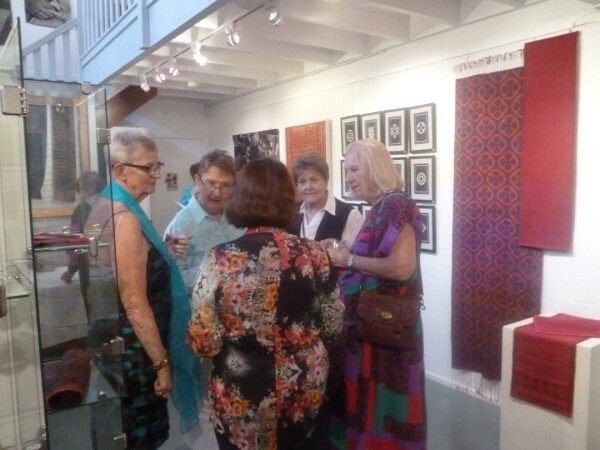 During this month, my exhibition Pattern: A Universal Phenomenon has travelled to Gallery 159, The Gap, Brisbane. 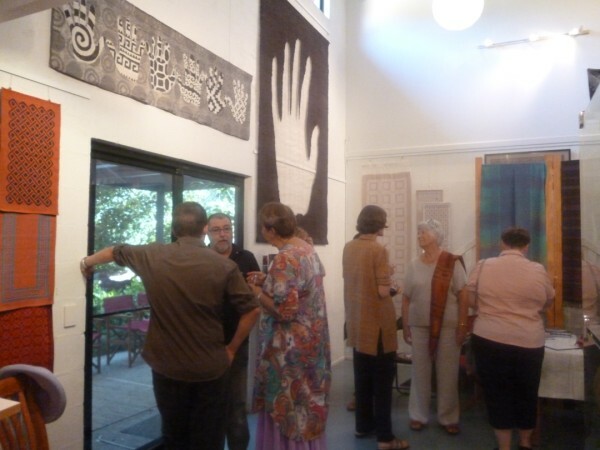 Here are some images of the opening. I was delighted with the response. It is also interesting how the work sits in a different space. 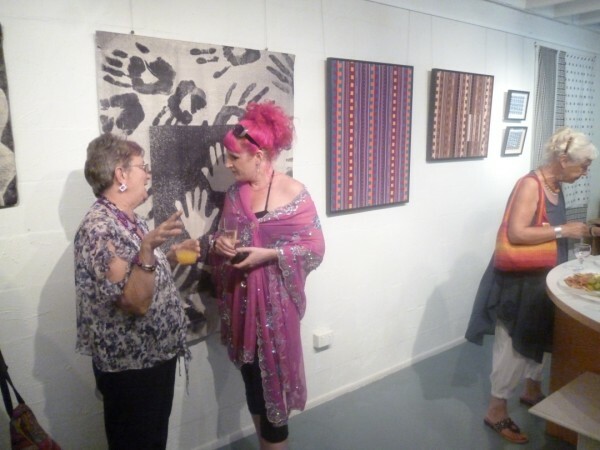 This was a smaller gallery than Redlands Art Gallery where the exhibition was first shown and some decisions had to be made as to what work would be exhibited. 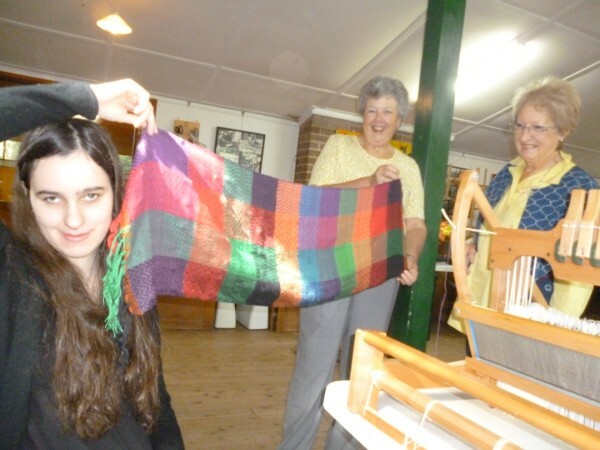 Weaving progresses at Sturt. Tuesday has finished a scarf exploring a number of twill variations. Helen and Ruth admire the finished results. You are currently browsing the Kay Faulkner's Blog blog archives for April, 2014.